Womens exotic print retro style fifties dress. Sleeveless vintage dress with rounded 3\"/7.5cm red collar and 2\"/5.1cm red belt with silver buckle. Fastens down the front with 5 white buttons and 12\" concealed zip on the left side. Measuring 42\"/107cm length. 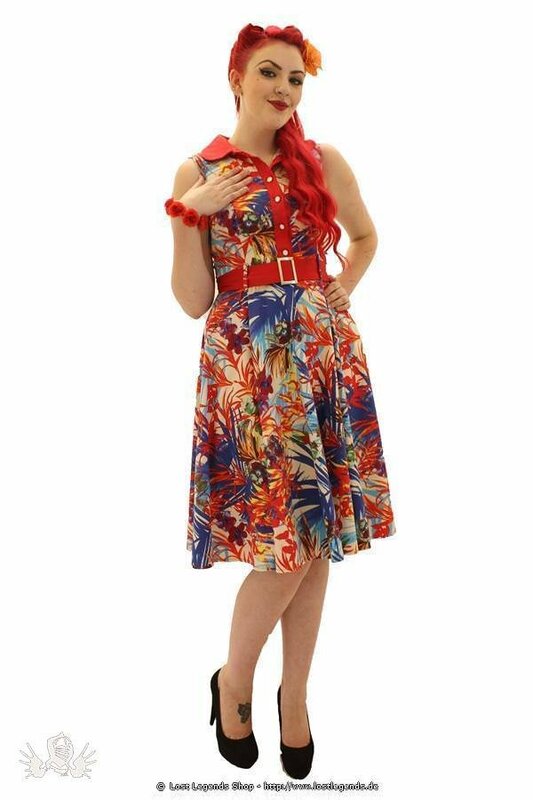 Great vibrant Amazon print dress with 50s style flared skirt.